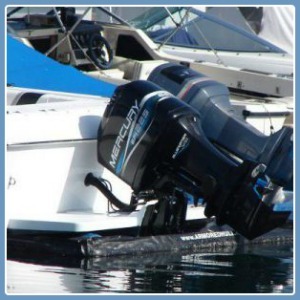 With the Armored Hull Boat Shield™ and the use of our patented Air Gate™, getting in and out is a snap. After 1 minute you will notice the Air Gate™ starts to sink. After approx. 2 minutes the Air Gate™ begins to drop below the water. The gate is down, 6 feet below the water in 3 minutes or less! 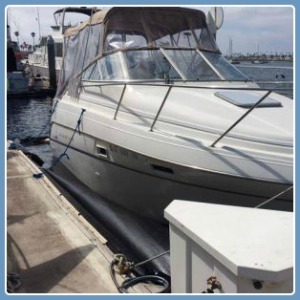 The patented Air Gate™ makes lowering and raising your Armored Hull Boat Shield™ so easy, anyone from 8 to 80 years young can do it! Connect the Air Pump. After 3-4 pumps the Air Gate™ starts to rise. After 10-12 pumps the Air Gate™ is 1 ft. from the surface of the water and reaches the surface after approx. 15-17 pumps. 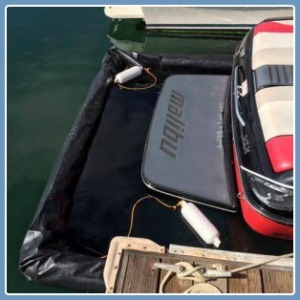 Full up with 25 pumps or 30-40 seconds, the Air Gate™ is completely above the surface of the water. Close the valve! Give us a call @ 619.578.5979 or Contact Us for more info!